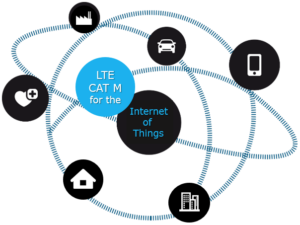 New Categories of Modems Will Improve Connectivity in an All-connected IoT World - FTS Inc.
Up until recently, upgrades to modern cellular networks have been driven by a quest for faster data connections. To enable streaming audio and video on your mobile device meant that the base station and the cellular device had to squeeze even more information into the same amount of radio spectrum, primarily via power-hungry signal processing algorithms. With the advent of the Internet-of-Things (IoT) however, the goal is now to create ultra-low power systems. Data rates are largely inconsequential because the connected device is only looking to transfer a few bytes or kilobytes, not megabytes or gigabytes required on modern mobile devices. Mesh networks have gotten a lot of attention in IoT, but invariably they need to have proximity to one another to create a mesh as well as access to the Internet backbone in some fashion (wi-fi, Ethernet, fibre-optic). Thus, while they are great for local area networks, they aren’t efficient for distributed networks, eg. geographically separated sensor stations. The cellular umbrella group 3GPP (which contrary to the name also deals with 2G and 4G networks, and beyond), has devised a new category of device to stay relevant in today’s all-connected IoT world. They have recently come up with the idea of a Category M device, aka Cat. M or Cat. MTC or Cat. 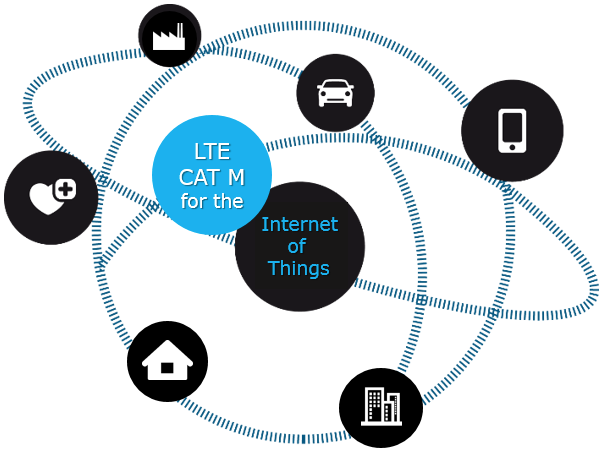 M1 or LTE-M (MTC stands for “Machine-type communications”), and a half-way Category NB device, aka LTE-NB or Cat. NB1 (NB stands for “narrowband”). These standards, finalized in 2016, use the same backbone 4G LTE network as used on mobile devices, but with lower power and lower transfer speeds. The Cat. M device focuses on lower power by permitting the device to completely turn-off for periods of time while still maintaining a connection to the network. It also utilizes a smaller bandwidth than the high speed mobile device-class Cat. 4 (this also translates to lower transmit power). The Cat. NB device uses an even smaller channel bandwidth. FTS is actively investigating these new categories of modems for our telemetry products in order to keep developing the best solutions for our customers.